4.75 x 3.25 x 2" 6.5 x 4.75 x 2"
Small Clear Lids fit our Small Candy Box Bases. Complies with FDA regulations for food packaging. Pre-formed lids measure 4-3/4" L x 3-1/4" W x 1" H. Boxes sold separately. 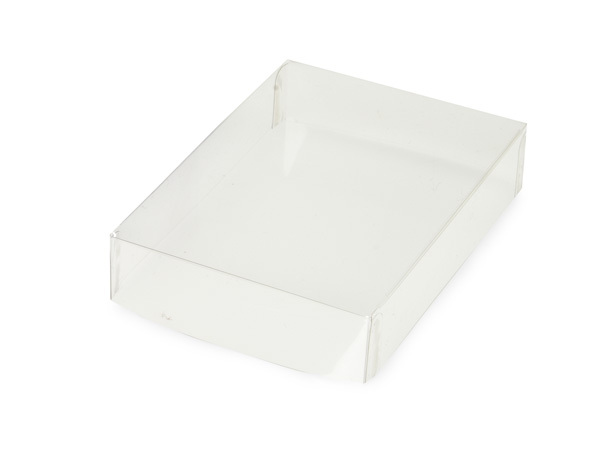 Clear Lid Candy boxes have an Ultra Clear PET lid and can be used as a single or double layer candy box. Lids are sold seperately and can be used with your choice of box base color! Complies with FDA regulations for food packaging.